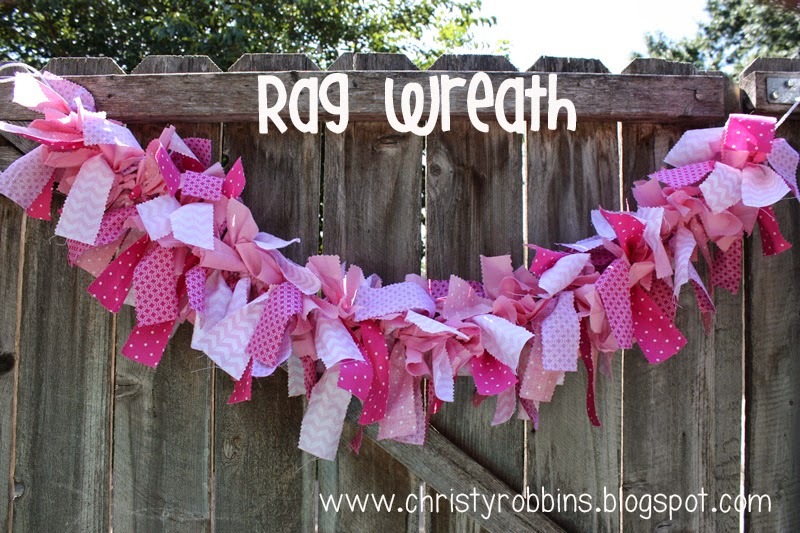 I made this rag wreath for an upcoming baby shower...I had a left over pink sheet from another project and I cut it into 8 inch pieces using my pinking sheers. I ended up going and buy 1/3 yard of 4 different fabrics and doing the same. I took some clothes lines and I literally just tied all the fabric onto the line. I'm actually helping to host two showers for this friend and I think this is going to make an appearance at both! Cowgirl and Ballet...and I'm sure plenty more after that.